Last weekend, Murray State made its sixteenth appearance at the 44th Annual Southern Intercollegiate Rowing Association Championship in Oak Ridge, Tennessee. 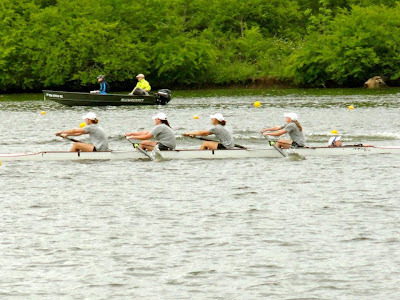 Facing off against some of the most prominent collegiate rowing clubs in the nation, our Women's Novice 8+ and Varsity 4+ squads competed in finals after strong finishes in qualifying and semifinal races. Over the course of the two day event, the Women's Novice 8+ continued a season of solid performances, besting squads from UT Chattanooga, Ohio University, Northwestern State University, College of Charleston, James Madison University, Liberty University, William and Mary, Clemson University, and Washington University of St. Louis. Racing in the finals, our novice squad finished 5th (7:42.10) in their heat, beating Central Florida by about 20 seconds. 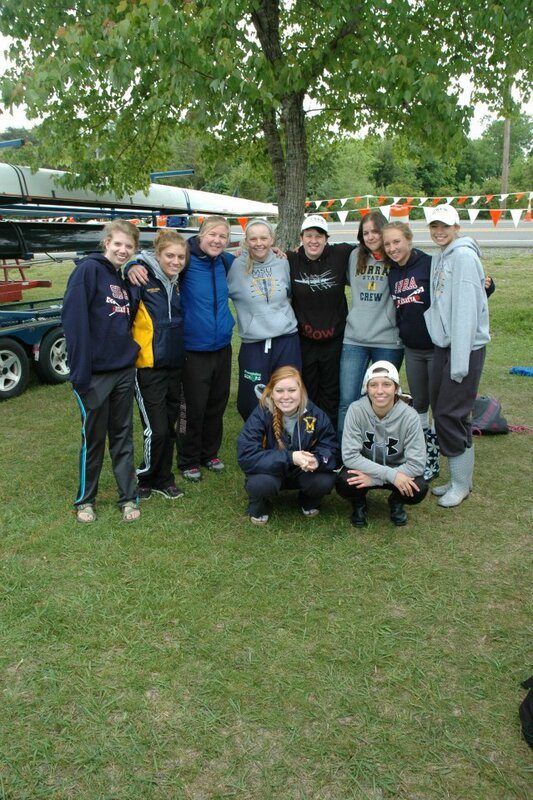 The Novice Women's 8+ finished 11th overall. Our Women's Varsity 4+ made a very good showing in preliminary races, earning a spot in the finals ahead of teams such as Alabama-Huntsville, James Madison, Georgia, Auborn, Vanderbilt, Clemson, Florida, College of Charleston, Grand Valley, Jacksonville, The University of Texas at Austin, William and Mary, and UT Chattanooga. 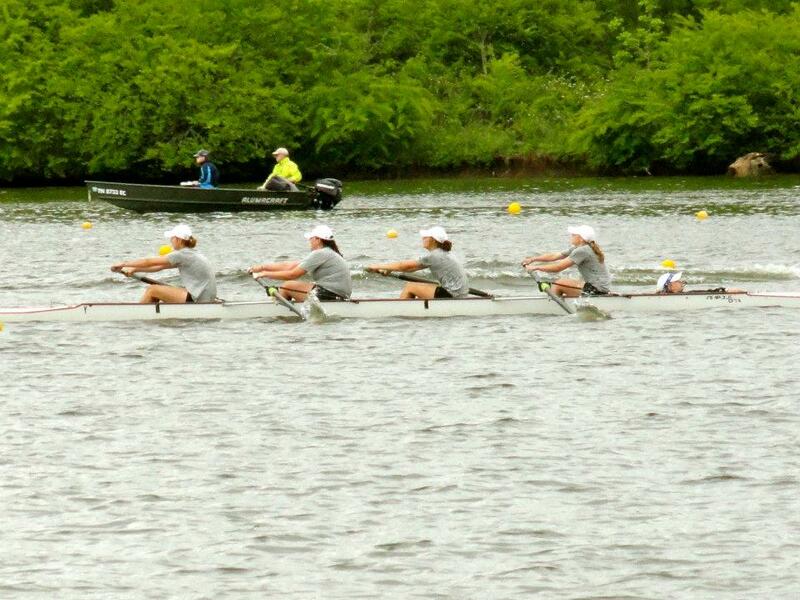 In the final race, the Varsity Women finished 5th in their heat (8:10.54) ahead of Auburn by about 5 seconds. 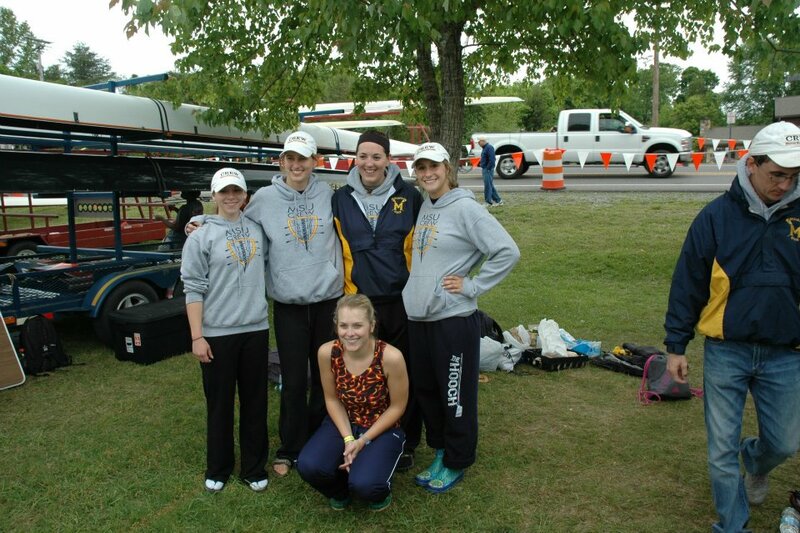 The Varsity Women's 4+ also finished 11th overall. The Men's Varsity 4+ competed during Saturday's races finishing 6th (7:22.48) in their heat against Florida Tech, Notre Dame, Florida State, Wash U. and Miami. Unfortunately, the Varsity Men did not qualify for semifinals competition; however, they outperformed teams from several major programs including Auburn, Liberty University, Davidson, Virginia Tech., The University of Texas at Austin, Georgia, and Vanderbilt. 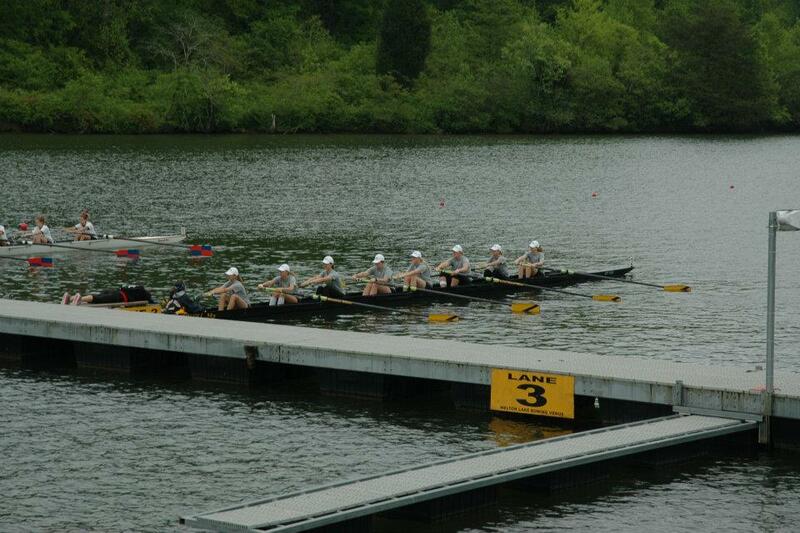 The Southern Intercollegiate Rowing Association Championship is held each year in Oak Ridge, Tennessee. Nicknamed the Atomic City, the Secret City, and the City Behind the Fence, Oak Ridge was established in 1942 as a production site for the Manhattan Project that led to the development of the atomic bomb. The city continues to play a role in the development of nuclear technology. If memory serves me correctly, there are signs along the race course warning boats to be mindful of sudden changes in the water level due to dams connected to the nuclear power plant. The Regatta sets the stage for a major showdown between some of the most prominent collegiate rowing clubs in the nation. The race is also steeped in rowing tradition with loosing teams being expected to give shirts to winners. Murray State has fielded squads that have brought home impressive wins in previous years; particularly first place overall finishes by the Men’s Novice 4+ in 1999, the Women’s Novice 4+ in 2002, and the Men’s Varsity 4+ in 2010. Racer Rowing will compete again in two weeks (May 12) as they revisit the St. Louis area for another race against Wash U Crew. Then, the team will conclude its regular season on May 26th -27th at the American Collegiate Rowing Association Championships in Gainesville, Georgia. 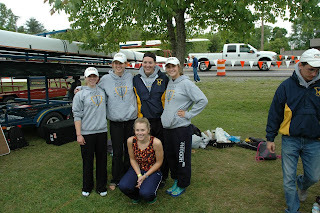 Be sure to follow The Racer Rowing Society for updates and show your support on the Racer Rowing Society Facebook page.